The suffrage banner collection available on VADS is from the Women’s Library at the London Metropolitan University. Women’s Library at London Metropolitan University. The Womans Library has an important collection of early twentieth century suffrage banners. 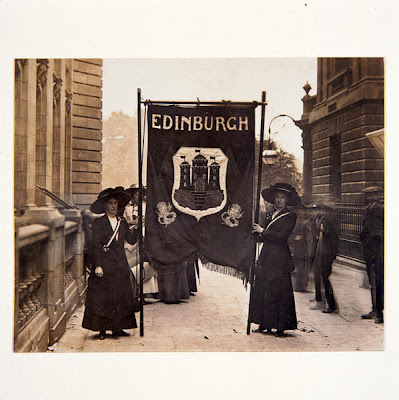 Designed and created by the artist based suffrage organisations the Artist’s Suffrage League and the Suffrage Atelier, the collection of suffrage banners, along with associated artwork, has been digitised and is available for research on VADS searchable database.